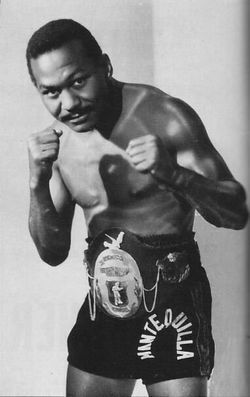 By this time no one questioned the greatness of the man they called “Mantequilla.” Jose Napoles, the former Cuban who emigrated to Mexico after Fidel Castro took over his home nation and made pro boxing illegal, had proven his elite status long before he finally received a chance at a world title in 1969. 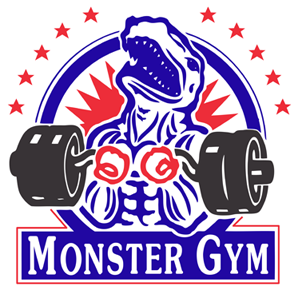 In fact, the only reason he had moved up from 140 pounds was because none of the champions at the lower weights were willing to fight him. Since winning the world welterweight title from Curtis Cokes, he had vanquished a long line of top-shelf fighters, including Emile Griffith, Clyde Gray, Ernie Lopez, Billy Backus and Hedgemon Lewis. So at almost 34 years of age and with some 80 pro bouts on his record, who could blame him for snatching up a big payday to challenge Carlos Monzon for the world middleweight crown? Sports fans were attracted to a clash between two dominant world champions, but boxing insiders, recalling that Napoles wasn’t even a particularly large welterweight, knew the Cuban exile was a long-shot. 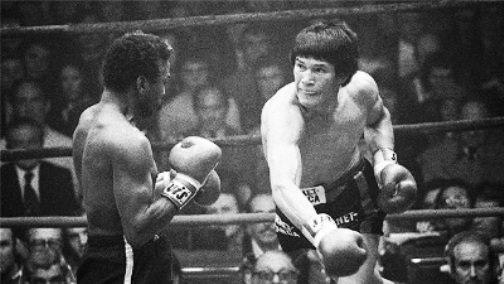 Monzon was a big middleweight: tall, strong and rangy, with a sledgehammer right hand. 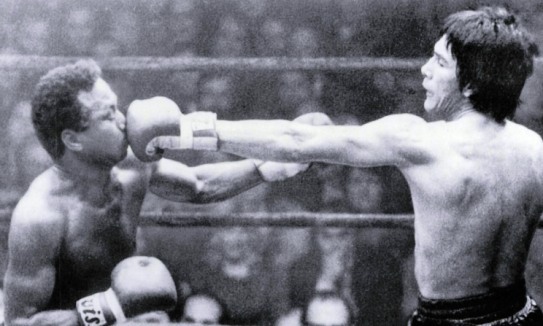 But then again, Monzon had not exactly looked like the second coming of Harry Greb in his last two outings, decision wins over Griffith and Jean-Claude Bouttier. Some wondered if the champion was on the downside and ripe to be foiled by a smart, veteran battler who was not only highly skilled, but boasted some serious power of his own in that deadly left hook. 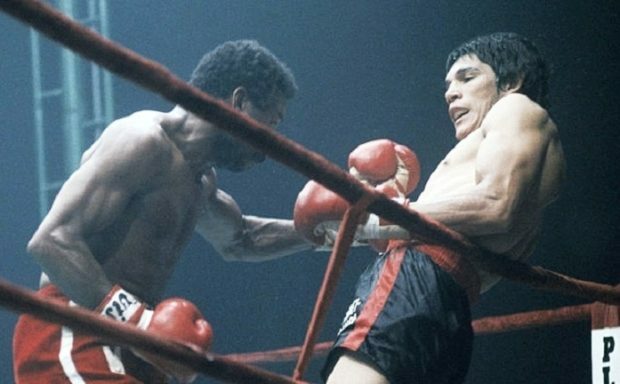 Monzon vs Napoles took place in Paris and the mood was electric with the widespread sense that this was an historic clash between two all-time greats. And for two rounds, the match lived up to those expectations. Despite giving away so much in terms of size, height and reach, it was the challenger who took the fight to the bigger man, darting inside and letting his hands go while Monzon sought to keep Napoles at bay. 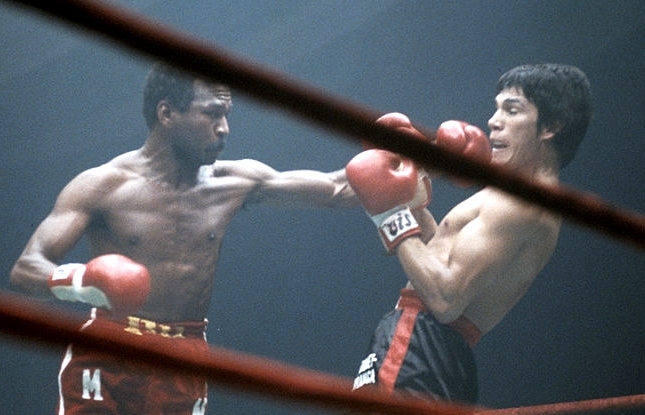 More than once in the opening frame the crowd roared as “Mantequilla” attacked and drove Monzon into the ropes. Napoles took the fight to the champion in the early going. Napoles maintained his pace and aggressiveness in the second, taking chances and pressing the fight, until a minute into the round a right hand caught him off-balance and sent him staggering across the ring. Instantly, the glaring difference in size, strength and power was confirmed. 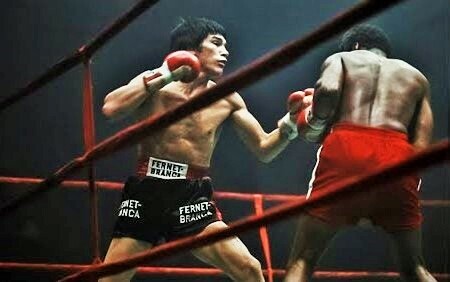 Not seriously hurt, the challenger went back to work, beating Monzon to the punch, slipping and countering, but his punches lacked the tonnage to trouble the Argentinian. It was a bit like watching a 19th century battleship fire cannonballs at a hulking aircraft carrier. 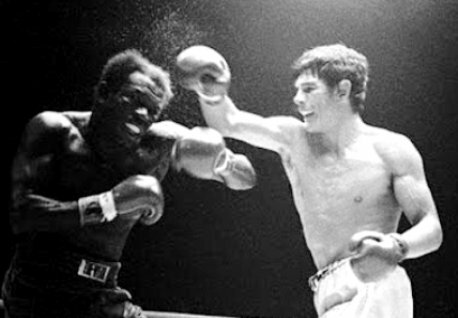 Still, the match was an entertaining and fast-paced battle to this point, and while Monzon clearly took round three, in the fourth Napoles boxed with great skill, using his jab effectively, countering with precision and raising the hopes of his fans. If he could somehow keep up this pace, might he have a chance to out-hustle and out-work Monzon over the 15 round distance? In a word, no. The fifth was the beginning of the end as a tiring Napoles started to give ground, allowing the champion to come forward behind his big right hand. Monzon pounced on the now more stationary challenger, teeing off with heavy, accurate punches, hurting Napoles for the first time and injuring his right eye. In the final seconds of the round Monzon appeared just one clean blow away from a knockout win and it was something of a miracle that Napoles survived to hear the bell. Round six was more of the same. A fading “Mantequilla” fought back as best he could, but he was simply outgunned. Another big right smashed home and stunned him and now the man they called “Shotgun,” with the detached air of an experienced stevedore or bricklayer, went about the task of methodically beating up the Cuban exile, pounding him over and over with heavy shots. At one point he even held Napoles by the chin with his left hand and then smashed him on the jaw with his right. 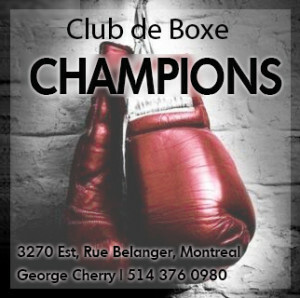 Clean, thudding punches rained down and had the challenger almost helpless before the bell rang and Napoles walked back to his corner on most unsteady pins. And that was it. 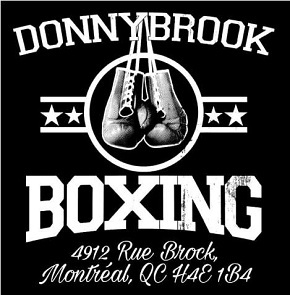 When the bell rang for round seven, Napoles stayed on his stool as trainer Angelo Dundee turned to the referee and signalled surrender. In a fight which demonstrated the necessity of weight divisions, a great smaller man was simply no match for a great bigger man.